For the Japanese and some Asians, black sesame flavor is commonly used especially in desserts and baked goods. 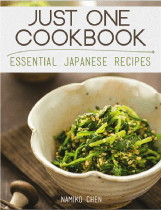 Popular recipes include macarons, purin (pudding), chiffon cake, mochi, bread, ice cream, and more. Black sesame is unique in the way it changes the dynamic of a dessert completely. Ordinary looking dessert are transformed into a peculiar dark gray color, and it surprises you with unique nutty toasty flavor. 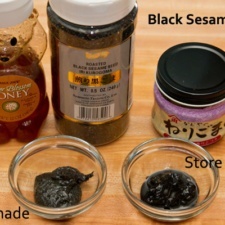 Black sesame paste is sold in jars at Japanese (or Chinese) grocery stores. The black sesame paste is different from black tahini because black sesame seeds are roasted before they are grounded. 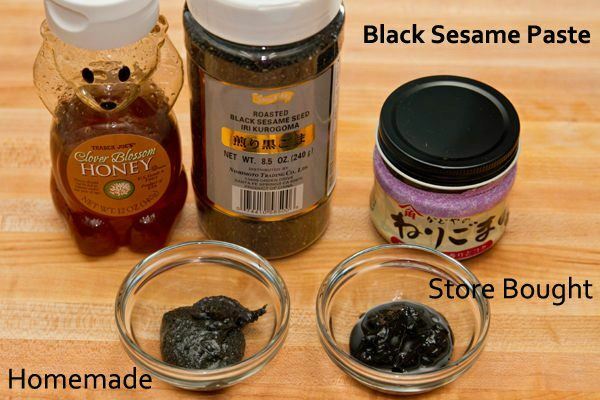 Homemade black sesame paste is easy and simple to make, and it’s pretty close to the store bought black sesame paste. 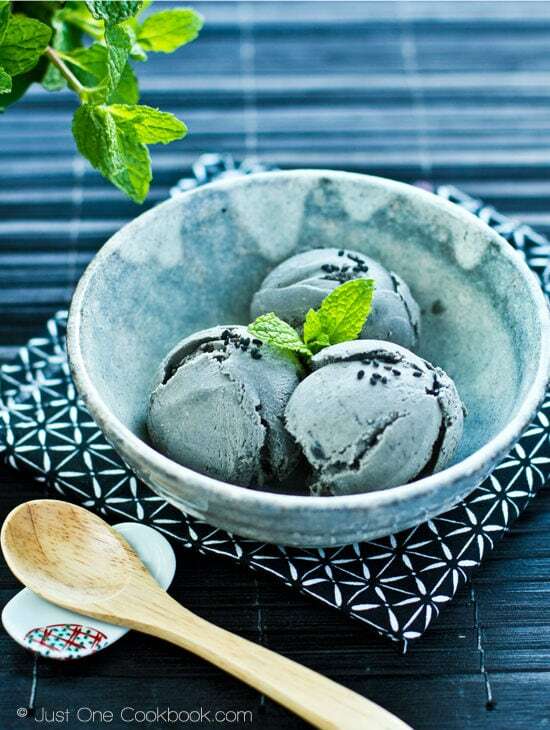 Now you can enjoy making Black Sesame Ice Cream! 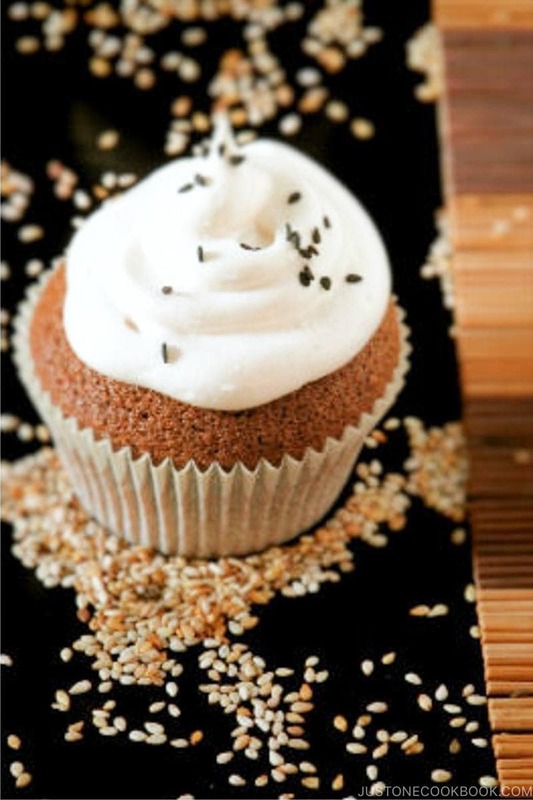 For the Japanese and some Asians, black sesame flavor is commonly used especially in desserts and baked goods. 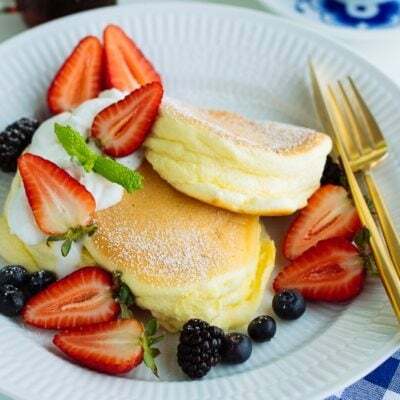 Popular recipes include macarons, purin (pudding), chiffon cake, mochi, bread, ice cream, and more. 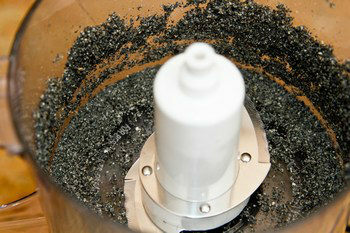 Grind the black sesame seeds by mortar and pestle or in food processor. It takes some time for sesame seeds to secrete oil, but be patient. When the sesame seeds are finely ground and become moist from natural sesame oil, add honey and mix all together. 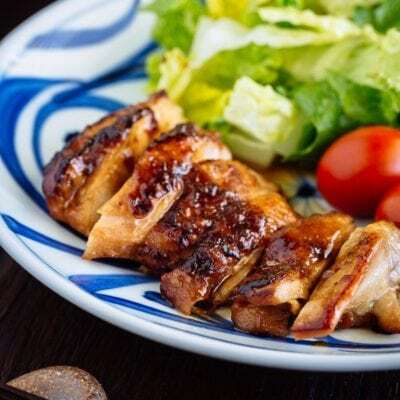 Honey: If you want to use black sesame paste for savory dishes, you can add a little bit of sesame oil instead of honey. Hi Novi! It’s a bit of work, but you can grind the black sesame seeds by mortar and pestle. That works the same way. 🙂 Hope this helps! 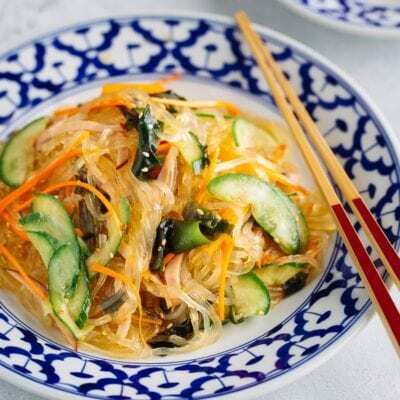 I would to know how to make all those little side dishes you get when eating out at a Korean BBQ restaurant. Can you help please? I’m excited to make black sesame ice cream! Yours looks so good. Just wondering, What can you use instead of honey? I was hooked to goma ice cream since I tasted in Asakusa London. Which is strange as I am not a big fan of ice cream. I now have the recipe, made my own paste and felt really proud. I was wondering what kinda savoury dishe we can use the sesame oiled version? 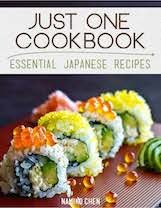 I mean in Japanese cuisine? Hi gulsah! I’m really happy to hear you enjoyed black sesame ice cream! 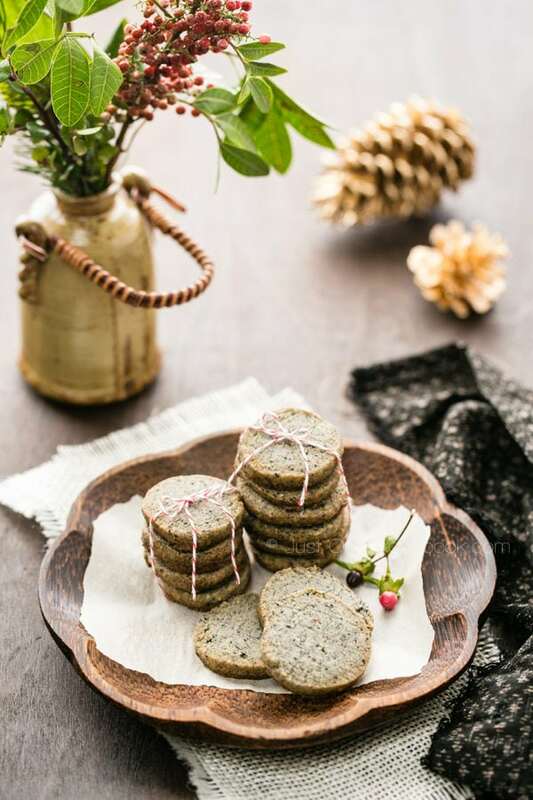 Black sesame paste for savory dishes is not as popular. Some uses for mixing with blanched veggies, some use for tofu and bread, and I’ve seen it’s used for simmered dishes. I prefer white sesame paste for dressing etc. 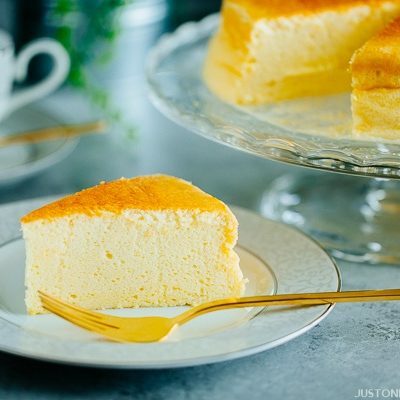 Oh you can use for steamed cake too. 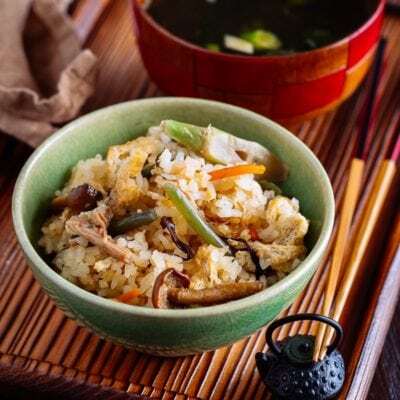 They are more like arranged dish and not something that everyone knows about – like black sesame pudding, or chiffon cake, etc. For how long do we roast the sesame seeds? Hi Jan! If your black sesame seeds are not roasted yet, follow the following directions. Put sesame seeds in a frying pan and roast them on medium heat until 2-3 sesame seeds jump (similar to popcorn). Keep shaking the pan to rotate the sesame seeds so they won’t get burnt. Remove from the heat immediately. Hi Azef! I’m glad you liked it. Thank you so much for letting me know! Do I put honey into the food processor as well?? Hi Nami, it has been so long since I’ve wanted to make your sesame ice cream and I want to make it this weekend. I can’t find the store bought paste so I’ll make it myself…but how long can you keep it for? 🙂 Thanks Nami! Will let you know how it goes!! Hi Lorely! I made this ice cream using both store-bought and homemade, and I like them both – homemade one is slightly more grey color. I’ve never kept it too long, but it should last for a pretty long time if you put it in a airtight jar and store in the fridge/freezer. 🙂 Hope you enjoy! I made 3Tbsp in total (put in 3Tbsp roasted sesame seeds and 3Tbsp honey) and it tasted sooooo good! I almost didnt want to put it in the ice cream haha!!! 🙂 Thanks for the recipe! I will be thinking of ways on how I could use this. Sounds delicious!! But I don’t have a food processor. Can I grind them with vitamix? Hi Leah! 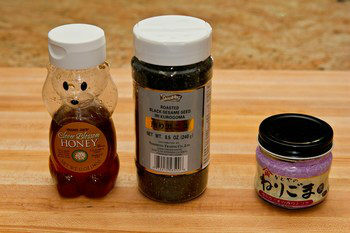 In this recipe/picture, I used the clover honey. 🙂 I’m so happy to hear the matcha ice cream turned out well. Thank you so much for trying the recipe! Hi Lynn! The oil in black sesame paste is sesame oil. When you grind (or use food processor), the natural oil start to come out from sesame seeds. If you don’t have enough, you can add tiny bit of sesame oil (or olive oil). Hope this helps! Nami, thank you for responding. I tried using the black sesame powder, and it seems to work? haha.. I have never tasted black sesame paste before, so I’m not exactly sure. However, the consistency seems to resemble your homemade paste. So, I guess it works! Thank you. So to make regular Pure sesame paste do you follow same steps? Don’t want Tahini paste just sesame paste like they sell in Chinese Markets. Thanks! Hello, thank you for the recipe. I just bought a jar of black sesame seeds and I wanted to try making a batch of this paste. I’d like to ask you, though, how long could this paste last if I keep it in a mason jar stored in my pantry? Hi Mawichan! I updated my recipe with this information (thanks for asking!). You will need to use it in 2 days. 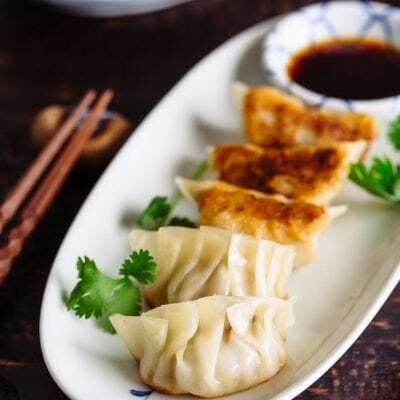 Oil from sesame seeds gets oxidized (just like you can’t keep the deep fry oil for a long time because it’ll be oxidized) and it won’t taste good, so you will need to use it in 2 days. Hope this helps! 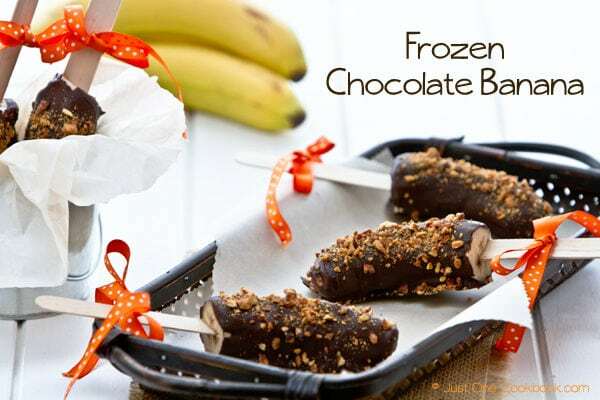 This recipe and the related ice-cream is a dream come true, specially for my husband. Back sesame ice-cream is one of his favourites. He is not Japanese or a descendent by the way – he is Irish :-D.
could i use sugar instead of honey? also, would black sesame paste taste good in jian dui or is that weird? Hi Sam! 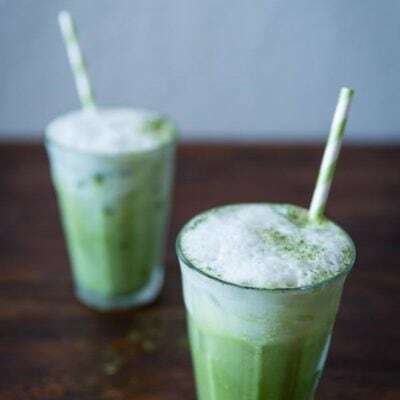 You can use sugar, but may be more grainer. What’s Jian Dui? 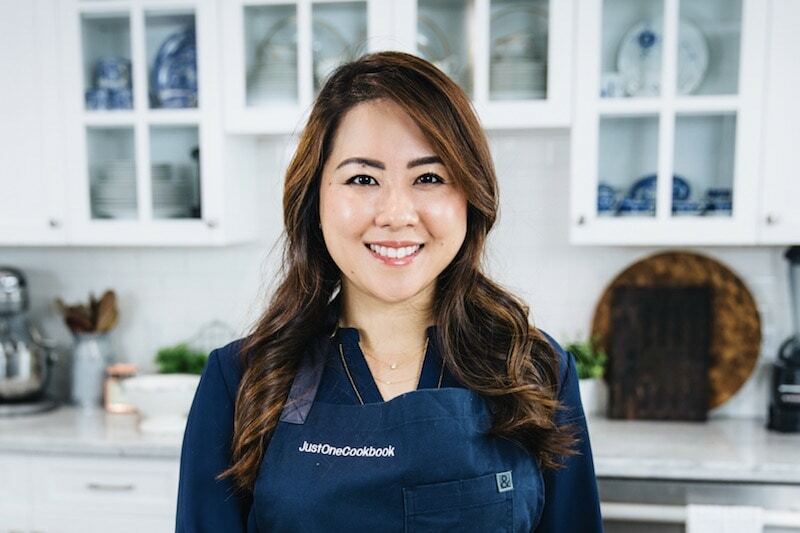 Thank you for sharing this quick recipe. Would this recipe be suitable to make sesame paste fillings for baked buns or would I need to modify the recipe? Hi Yap! Filling for baked buns… Hmmm.. how big are they? These are rather “runny” so I’m not sure how you can fill in? The buns are approximately the size of red bean buns, an pan (3inch diameter). I agree that this recipe can be “runny”. Is there any possibility of thickening the paste to make it less “runny”? Hi Nami! Thanks for sharing this recipe. If I want to make white sesame paste for use in noodle dishes like tan tan men, what should I swap for the honey? Sesame oil? 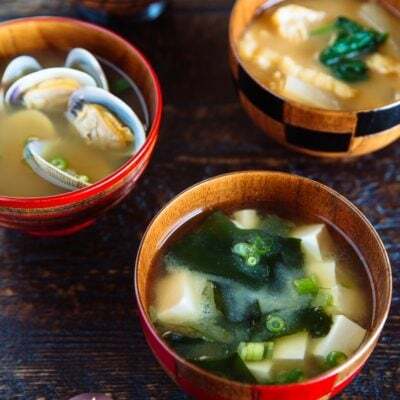 I can buy nerigoma at my local Japanese supermarket, but it’s really expensive, so I’d love a homemade alternative. The only ingredient listed on the nerigoma can is sesame. 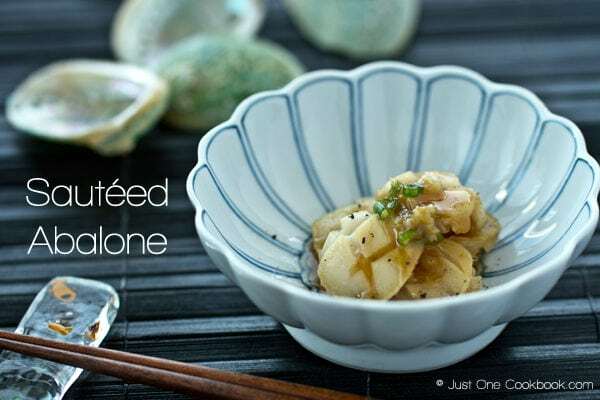 Hi, can I use this recipe for the fillings for taiyaki? Thanks. May I know if this 1 serving of black sesame paste is equivalent to 3tbsp sesame paste (as needed for the black sesame ice-cream)? Thanks. Someone gave me two pouches of Neri Goma Kuro (Black Sesame Paste). Can I use them to make a salad dressing? Do you have a recipe for the salad dressing? Hi Steve! Yeah, you can definitely make salad dressing with it. 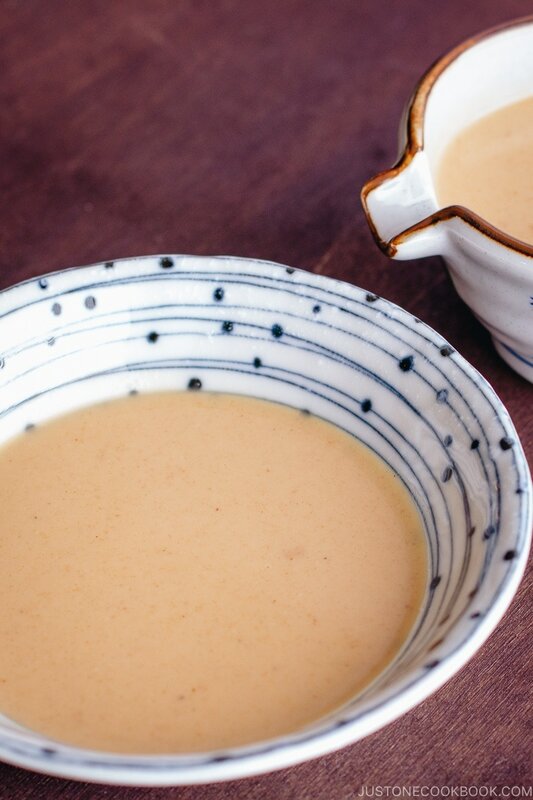 I don’t use the paste to make my sesame dressing, but you can add to make it more creamy. Maybe adapt this recipe? Will love to learn from you, thanks! I made my black sesame paste, using your recipe and it’s so tasty on my toast but after I put in my fridge, it turned to be super hard. How can I make it soften? Add some water or oil and microwave? For sesame seeds which are not toasted, do I need to wash the sesame seeds first before toasting? Why does the first picture show 3 ingredients? WOW! I am so excited! 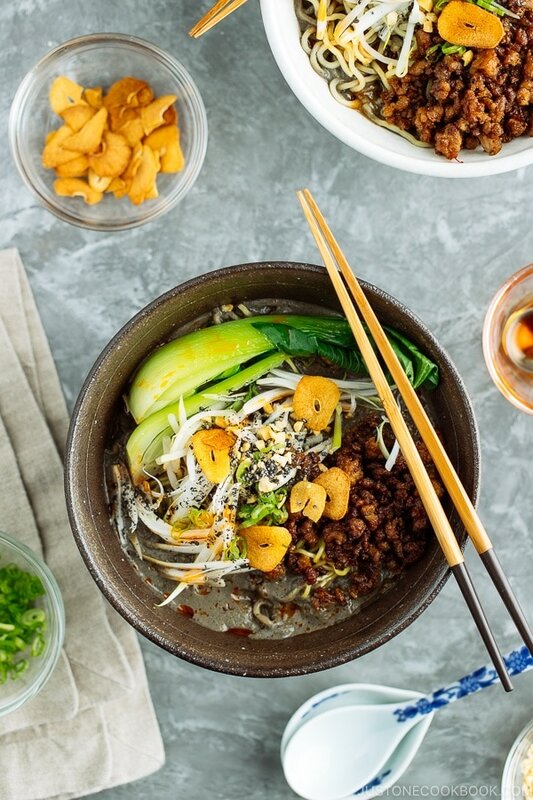 I did this with my mortar and pestle and so impressed how much oil was in those dry sesame seeds! I’m making the black sesame ice cream to go with the green tea ice cream I made last night. It’s a combination of flavor I never thought I’d get to try again. I had it once on vacation, well multiple times on the same vacation in NYC. So excited to try this on my own! Loved your soup video! Wondering what the sauces were and if you have a recipe for them?